Chief Justice of India Dipak Misra was wise to stick to convention in recommending the name of Justice Ranjan Gogoi. 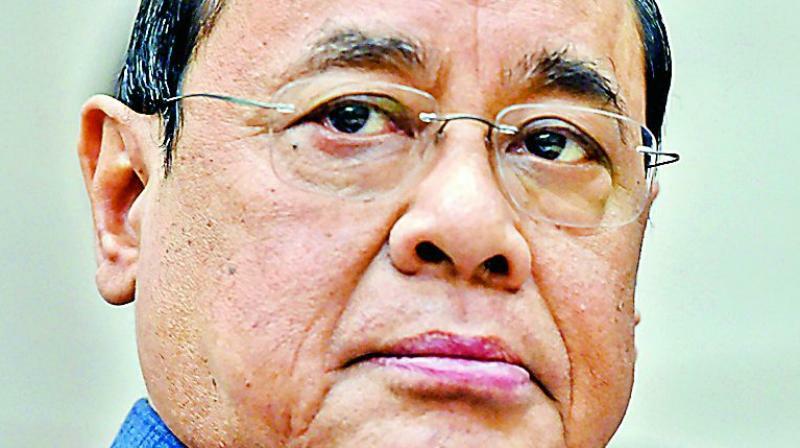 Chief Justice of India Dipak Misra was wise to stick to convention in recommending the name of Justice Ranjan Gogoi, the seniormost judge after the CJI himself, as the next leader of the judiciary. The judicial system will breathe a sigh of relief. Somewhat unsteady right through this year as a result of several actions of the CJI that gave rise to fears in legal and judicial circles that Justice Misra was too solicitous of the sensitivities of the establishment in key matters, the institution of judiciary in India could have suffered shocks if the CJI ignored convention. After Justice Gogoi chose to be among the four top SC judges in January this year to address an unheard-of press conference to question the CJI’s style of functioning, few were willing to take for granted that the CJI would abide by convention and recommend as his successor the next senior man who had been a critic. The main source of dissatisfaction of the complaining judges was that the CJI, using his position as Master of the Roster, was ignoring the most senior judges of the court and assigning a chosen few colleagues to hear matters where the ruling establishment appeared to have a close interest. Mr Misra rode the storm, not giving quarter to his detractor colleagues. If distortions have indeed occurred in the judiciary on account of the CJI’s omissions and commissions, it remains to be seen how Justice Gogoi effects course-correction in his 13-month tenure, that begins October 3.